Corn is used in thousands of products. Watch the video on the many uses of corn! Corn is an incredibly versatile crop, which means it can be used for a variety of products. Just about anything that can be made from a barrel of oil can be made from a bushel of corn—and that’s why renewable, environmentally-friendly corn is replacing petroleum products in everything from fuel to adhesives to cleaning solutions. Corn starch helps frozen food retain their texture and helps make glue stronger. You’ll find corn in some form in crayons, house paint, printer ink, fireworks, antifreeze, automobile tires and carpeting, Bioplastics made with corn include bottles and disposable plates, flatware and drinking cups. There’s even clothing and bedding made with corn fibers! As Nebraska farmers continue to grow more corn with less water and fewer inputs, it is critically important that corn farmers continue to invest in building demand for their product which they grow more efficiently and in abundance every year. While traditional uses for corn such as livestock feed and biofuels will always be major markets for corn, finding innovative new uses for corn is also a significant focus as farmers look to diversify their market portfolio. Through their checkoff, Nebraska corn farmers fund research to identify even more ways in which corn can be used to replace petroleum in chemicals, plastics, fibers, and other everyday products. Additional research is focused on how specific components of corn can be extracted from the kernel and repurposed to improve human health, medicine, human and animal nutrition and other key areas of promise. Farmers are continually looking for ways to increase demand for their corn. Once of the most important advancements has been the development of the renewable fuels industry—converting agricultural crops into fuels such as ethanol and biodiesel. This has caused some people to express concern that we are taking food from people’s mouths and putting it into our gas tanks. That simply is not the case. First, it’s important to understand that most of the corn we grow in Nebraska is not the sweet corn typically used for human food. It is field corn primarily used for livestock feed or to make fuel (ethanol). So when we choose to make products from corn, we are not choosing between feeding people and fueling our cars. In fact, corn is so versatile that it can do both—and more—at the same time! A large amount of the corn produced in Nebraska is used to make ethanol, a clean-burning fuel that is added to regular gasoline. Ethanol improves engine performance and reduces harmful tailpipe emissions that threaten human health. In fact, the American Lung Association considers ethanol its “Clean Air Choice” for our fuel. Ethanol also helps reduce the cost of fuel at the pump. Unlike petroleum which is in limited supply, ethanol is made from renewable corn that we can grow year after year after year. Ethanol burns cleaner than gasoline, so adding ethanol to our fuel reduces the level of toxic chemicals in fuel and reduces the harmful particulate matter in vehicle exhaust. 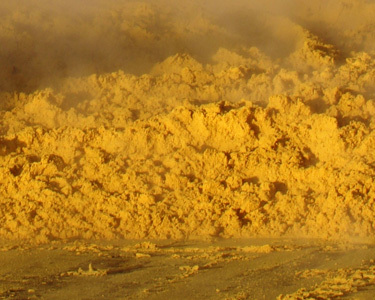 At an ethanol production plant, only the starch in a kernel of field corn is used to make fuel. The rest of the corn kernel is processed into a number of co-products including livestock feed, corn oil, sweetener, and other food ingredients, such carbon dioxide used in beverages. The most abundant co-product is distillers grains, a high-value livestock feed. From beef cattle to dairy cows, from pigs to chickens—distillers grains provide a nutritious and efficient feed source for livestock producers. These animals then produce the meat and dairy products we all enjoy. So, when we make ethanol out of field corn, we’re not just making fuel. We’re producing feed and food as well! The most common sweetener made from corn is high fructose corn syrup (HFCS), which is sometimes called “corn sugar.” You’ll find HFCS in numerous foods and beverages in the United States. Research shows there is little difference between HFCS and any other sweeteners. It adds calories in the same way that sugar, fruit juice concentrate and honey add calories to foods and drinks. They all contribute the same number of calories per gram. The scientific community and people who know sweeteners and nutrition, agree that HFCS and sucrose are metabolically equivalent and that all sweeteners should be consumed in moderation. » Discover more about GMOs. Genetic management and selective breeding have been used for centuries. Today, we’re just doing it better. As farmers and ranchers work to meet the daunting challenge of feeding an exploding global population, they continue to grow more with less – less water, less land, less fertilizer and pesticides and less impact on the environment. Currently, genetically modified (GM) crops – also referred to as “biotechnology” or “genetically modified organisms” (GMOs) – are an important part of a farmer’s portfolio. But they are not an end-all solution, just another tool in an increasingly robust toolbox. Genetic modification simply refers to human intervention to create a different genetic combination to create a desired outcome. Biotechnology allows researchers to create gene combinations that result in diversity and enhanced performance. The focus in agriculture is to help plants, including corn plants, overcome stresses and challenges that keep them from achieving their full genetic potential. For example, there are plants resistant to insects and others that tolerate specific kinds of herbicide. Eliminating damage from pests keeps corn plants healthier and stronger and better able to withstand stresses like dry soil because roots are healthier and can absorb more available moisture. Reducing pressure from weeds means nutrients and water are more available to the corn, and farmers have to till less (or not at all), which helps keep soil and nutrients in place, which is a plus for sustainability. Newer corn hybrids are drought tolerant, helping plants produce more corn during dry years. Crops that are genetically modified go through significant approval processes, including reviews by the USDA, FDA and EPA – and to date there is not a single documented case of a food allergy or human health situation due to crop biotechnology. In most households, women are the decision makers when it comes to food purchases. And more and more women are becoming interested – and in some cases, concerned – about what they are hearing about where their family’s food comes from and how it’s produced. Who better to talk with about these concerns than a fellow mom who helps produce that food? That’s the focus of CommonGround, a national initiative in which volunteer farm women interact with urban women in grocery stores, food shows and other events across America. While many CommonGround conversations take place in large urban areas, these conversations are also taking place in communities across Nebraska. This is where the Nebraska CommonGround volunteers come in. They, like their counterparts in other states, aim to have conversations with women in Nebraska and across the country who buy food. They answer questions and share facts, as well as their personal stories of farm life.